Brian Elliott, CEO at Periscope By McKinsey, offers a view of discounting and promoting FMCG lines during the Christmas season, considering how not to give away too much. The Christmas promotion season is fast approaching. Starting with the relatively new arrival of Black Friday as a UK retail date, and then leading into Christmas/New Year sales that start earlier and earlier. Every retailer is looking to do whatever they can to get customers over the threshold – and spend! There are a lot of factors that influence each step of the buying cycle for consumers, and often the right FMCG promotions are what gets customers over the threshold. Price, promotion, and assortment are clearly important, but there is a point where a price drop no longer attracts enough customers or where competition has to react to defend their customers, blunting the effect. The question is, where is the point at which retailers are compromising their margin, but not gaining any more sales, or profit? 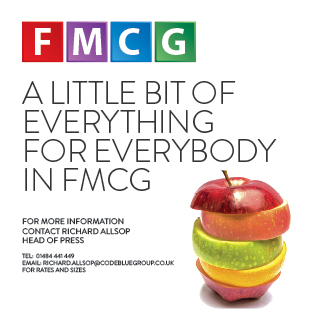 For retailers caught in the storm of the sale, at a time of year that determines whether they make it into the black for the year, it is critical to keep a level head, and not discount hard on FMCG lines purely to undercut your competitors. The impact may not be negligible. Is it just about price? Of course it is not just a matter of whether to discount and how much, but in what way do you offer that price? Is it straight discounting across the board, category linked, or designed to encourage volume FMCG purchasing? And of course sometimes, promotions have to be developed in response to what is happening in the rest of the retail market, often forcing retailers to make promotional decisions that are not necessarily in line with the buying decisions and margins they committed to for the season nearly a year ago. Making price and promotion decisions purely in terms of the competition, margin and sales volumes, is a common mistake to make. The truth is that without the right scrutiny retailers could be pushing customers away from more profitable lines, or worse still combinations of lines, that they would otherwise be buying. Retailers need to understand which FMCG lines are the right products to discount or promote, and which when promoted, will actually drive incremental sales and margin over their baseline sales. Often the products retailers promote are cherry picked by customers and never lead to incremental basket sales. How can you know what to do? Insight is the way to answer all of these problems. The issue is that the vast majority of retailers have spent huge sums of money implementing systems that ensure they sweep up every piece of data into a big data warehouse. Why is that a problem? It is happening so fast that they have tons of data, a little information, and even less insight. The whole challenge is made all the more complex by external factors, all of which can be used, as data, to inform decisions: the competition, the weather or the economy, to name but a few. All of these impact the behaviour of the customer in real time and affect their sensitivity to price. You probably thought I meant “giving away too much discount” at the start of this article, but the impact of poor insight is much bigger than discounts or promotions. True, you could end up giving away too much in terms of margin but worse, you could lose your customers to the competition. You also might be giving your loyal customers too big a discount, for no real gain or only attracting the cherry pickers from your competitors, not attracting your target segment. You cannot just rely on the data, the business has to be organised in a way that has formal processes for reviewing the insight, and applying it across marketing, promotions and category teams. That means having people embedded in teams that can understand, and manipulate data to assess the best course of action. You have to be able ask the data the right questions, and that takes specialist data science skills. Otherwise you might be getting answers to a different question than the one you thought you asked, making the subsequent action you take completely wrong. Taking these steps helps all teams learn the limitations of their data, and trust the insight it gives them. It might be too late for this holiday season if you don’t already have the systems and processes in place to get the kind of insights I have outlined above, but there is plenty of time to prepare for next year. Online retailers in particular are becoming extremely agile and adept at quickly reacting to customer behaviour. You might get away with it this year, but in the same way that consumers are becoming insight-driven, retailers must do the same.